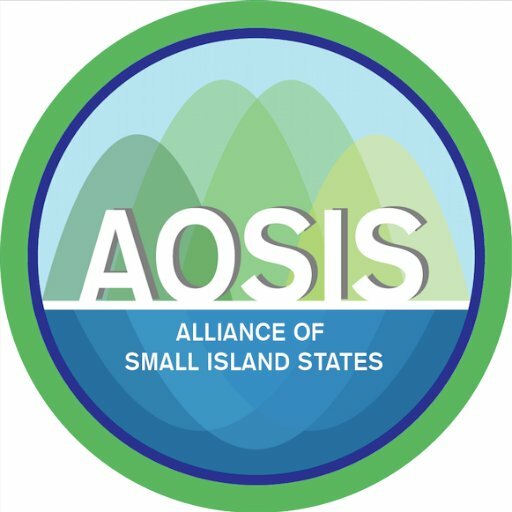 Statement by the Maldives on behalf of AOSIS At th..
At the High Level Event entitled "Climate Change and the Sustainable Development Agenda"
I have the honor to make this statement on behalf of Alliance of Small Island States (AOSIS). We align our statement with the statement made by Ecuador on behalf of G77 and China. Let me start by thanking Ambassador Peter Thompson, the President of the General Assembly, and Patricia Espinosa, the Executive Secretary of the UNFCCC for convening this important conference about the inextricable connections between climate change and sustainable development. Indeed, it is a fortuitous time for this conversation because we as governments have now turned our attention to ensure the effective implementation of the Paris Agreement and the 2030 Agenda. In the lead up to the adoption of these agreements, we often heard that mantra: "You can't address climate change without considering it in the context of sustainable development and can't achieve sustainable development if you don't tackle climate change." Put another way, unless we decouple economic growth from the burning of fossil fuels, worsening climate change impacts will undermine our development gains and make it difficult, if not impossible, to create a healthy and prosperous future for all. This is particularly true for Small Island Developing States on the frontline of climate change. In fact, the Barbados Programme of Action, and in particular, the SAMOA Pathway, the SIDS blueprint for sustainable development, calls attention to the crosscutting nature of climate change and sustainable development in areas as diverse as infrastructure development, agriculture, marine conservation, and climate adaptation. We know all too well the toll that climate impacts will have drastic effects on our economies. Warming seas have already shifted the fish stocks that we rely on; back-to-back coral bleaching episodes have undermining essential marine habitats as well as our critical economic industries. At the same time, rising seas, worsening coastal erosion, and increasingly powerful storms have forced us to climate-proof our infrastructure projects across our islands in the Caribbean, Indian Ocean and the Pacific and even threaten the territorial integrity of some of our low-lying members. Last year in Fiji, for example, Cyclone Winston, one of the strongest tropical storms ever to make landfall, erased a staggering 10 percent of the country's GDP—the equivalent of 15 Hurricane Katrina's simultaneously hitting the United States. Even as the impacts of climate change have become unmistakable, the financial resources needed to address it, are lagging behind. So it goes without saying that the world has to do more to rapidly scale up the deployment of renewable energy and to ensure effective adaptation. To that end, AOSIS will continue to work to accelerate adaptation and mitigation efforts to set our development pathways to a low greenhouse gas and climate-resilient development. Additionally, we would like to stress that we also need to ramp up pre-2020 climate action to put us on a path towards limiting warming to less than 1.5 degrees. We welcome your leadership in keeping climate change and sustainable development at the forefront of the international agenda and in this regard we are proud to welcome Fiji's Presidency of this year's "SIDS-COP" in Bonn. I assure you that AOSIS will provide our full support to ensure that COP 23 will take a significant step towards implementing the Paris Agreement. The reality is, addressing the dual climate change and sustainable development challenge rests on the provision of adequate, predictable, sustained financial resources, technology transfer and building capacity. This is urgent for small islands developing states where the cost of adapting to climate change is so high relative to population size; and yet, the impact of extreme events on gross domestic product in SIDS is disproportionately large. We know public sector financing must be scaled up. Meeting the climate agreement's $100 billion annually by 2020 commitment is absolutely essential and new partnerships with the private sector, non-government organisations, and other institutions can help to mobilise resources immediately. Urgent action on climate change is vital. Our environments, economies, and lives depend on it.